Number 26, Teddy Roosevelt, holds two crowns. He was the youngest person to assume the US presidency, and the most badass of them all. He did many things to earn that second title, but none of them featured a drunken spree in Nairobi that nearly caused a diplomatic mess in 1909. Teddy Roosevelt was only 42 years old when William McKinley was assassinated in September 1901. JF Kennedy holds a different title, that of the youngest person elected president. Teddy assumed the presidency at 42 but was only elected in 1904 when he was 45 years old. He was a cowboy, and he brought that persona to the Oval Office. He worked hard to maintain this macho man brand even after he retired in 1908. An avid outdoorsman, he would go on two long expeditions, one in Africa in 1909 and the other to the Amazon rainforest in 1912. The latter afflicted him with Malaria and he nearly died several times, once even contemplating suicide. The African expedition was seemingly less dramatic, but that is because the whole story was never told. Teddy and his party of adventurers landed at the Port of Mombasa in 1909. He was a high-profile visitor so the colonial government sent a high profile entourage, led by the Deputy Governor, to welcome the ex-president and accompany him to Nairobi. ?Before making the trip, Teddy wrote to one of Kenya’s most prolific settlers, Lord William Northrup McMillan, the man for whom McMillan library in Nairobi is named. McMillan was an avid adventurer too, and like Roosevelt, had rather eccentric tastes. He had a tamed lion tied to a post in his front yard and enjoyed freaking people out. Lord McMillan had initially come to Kenya as a big game hunter. He fell in love with the country and decided to settle. In 1904, he bought a 19, 000-acre estate in Ol Donyo Sabuk and a townhouse at Chiromo. The area his farm covered included the land that is now Juja, then known as Weru wa Ndarugo. On it, he built a magnificent estate house and hosted some of the craziest parties of the first decades of colonial history in Kenya. He acquired the Nairobi house from his peer and fellow eccentric, Ewart Grogan. His guests would include Teddy Roosevelt, Winston Churchill, and many other dignitaries. It was 1909, and McMillan was socialite #1. His parties were the most scandalous, only later overtaken by the Happy Valley ones hosted by Lady Idina Sackville and her partners in lewd parties. McMillan’s parties had all the hallmarks, including barrels of wine and whisky, and the occasional wife-swapping. They were lavish and eccentric, as the burly settler spared no expense at pleasing his guests. Roosevelt and his son Kermit Roosevelt were in Kenya to do two things, to hunt and to rave. Whenever they were not out hunting or making friends, they were at the Norfolk Hotel, then the party spot of choice for settlers and tourists. McMillan allowed them to use his Chiromo House instead of drunk-driving all the way to Juja. The road to and from the hotel in the nascent Nairobi town then weaved its slightly onto Government Road, around what is now known as Khoja Mosque. This story starts on that short stretch of road. The current Ismaili Mosque on Moi Avenue is a stunning neo-Victorian relic built between 1920 and 1922. As a tradition, Ismaili mosques differ significantly from all other houses of worship constructed in the Muslim world. They noticeably lack a minaret. In the town plans of the young Nairobi town, the area around where Khoja Mosque stands today was the meeting point of several roads. It marked the end of Indian Bazaar Street, now known as Biashara Street, Government Road, now Moi Avenue, and others. It also had direct access to Delamere Avenue (Kenyatta Avenue), Victoria Street (Tom Mboya) and Hardinge Street. A 1906 edit had banned the immigrant Indian community from acquiring land, forcing the Ismaili community to build temporary houses of worship. After another night of raving at the Norfolk, the drunken Roosevelt father-son pair noticed something interesting outside the mosque. They stopped the car, and in what must have been an adrenaline-rush moment, stole a pair of stone lions that had been placed on either side of the mosques gate. No one heard a thing, but the mosque officials woke up the next morning to two empty pedestals. ?The Roosevelt’s returned with their loot to McMillan’s townhouse. They left the lions there, and no one seemed to notice the rather conspicuous pair of lions on either side of the fireplace for several days. Nairobi, meanwhile, erupted. The Ismailia community was enraged at the theft, and the colonial government launched investigations. The story was covered by several newspapers, but it seemed like the perfect crime. Sometime later, a government official on a personal visit to the McMillan townhouse saw the lions. He panicked upon realizing the diplomatic mess it would be to have a former US president on an expedition tried for theft. Or even remembered for stealing in a colony while on a drunken spree with his son. The official hatched a plan to have the statues transported to the Ol Donyo Sabuk farm and buried. The story cover-up worked, and everyone seemed to forget the debacle. The Ismaili community built the stunning mosque that stands to date. Teddy died in 1919, and McMillan in 1925. McMillan’s body was transported to Kenya from Nice, France. He was buried, as per his will, on the summit of his favorite mountain, Ol Donyo Sabuk. By 1937, 29 years after Teddy Roosevelt’s visit (and 18 years after his death), the McMillan farm had changed hands a few times. It was now owned by the Nettlefold family. While working on the expansive farm, Nettlefold’s farm workers discovered the buried lions. At first, they thought the lions were stone idols from West Africa known as Ju and Ja. The confusion was settled by analysts from the Nairobi Museum who positively identified them as the carvings that had been stolen from the Ismailia Mosque in 1909. There is a reason why the farm workers thought the carvings were West African idols. Before McMillan came to Kenya, he had visited West Africa and left with two statues. They were the idols Ju and Ja. Legend has it that the witchdoctors had also told him that if he did not preserve them (which he didn’t), he would die at sea (which he did). McMillan, ever the superstitious optimist, took it all as truth. He bought 19, 000 acres at a time when the maximum amount of land a settler could buy was 5, 000 acres. That he attributed to Ju and Ja. His farming skills were not as successful as his hunting and his parties, but he was deeply fascinated with the two idols. The McMillan farm became a setup carved with an aura of superstition, and his Kikuyu neighbors and workers christened it Ju Ja farm. The only one who was not buying into the mystic was McMillans wife, Lady Lucie. Tired of the superstitions, she secretly had the two stone carvings buried somewhere on the expansive farm. McMillan threw a fit and tried to find them, but never did. The legend lived on, and when the other stone lion carvings were found more than three decades later, everyone first thought they were McMillan’s idols. 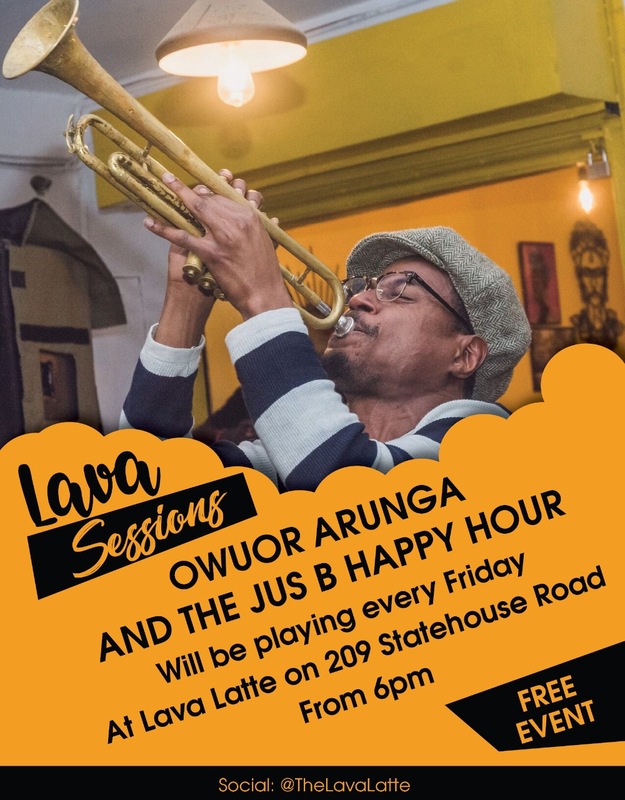 By then, the entire area was known as Juja, and a new settlement had grown around the road and taken the name Juja town. It took even longer for anyone to make the connection between the stolen lions and the Roosevelts. In her book Northrup-The Life of William Northrup McMillan (2012), Judy Aldrick writes about the incident in great detail. She also dedicates an entire chapter to McMillan’s house in Ol Donyo Sabuk. Teddy Roosevelt was long dead by then, and his legacy as the manliest US President was already cast in stone. Part of it was the Smithsonian-funded trip to Africa as well as dangerous Amazon excursion. Two years after his Africa trip, an assassin shot him while he climbed a podium in Milwaukee, Wisconsin. The bullet went through his reading glasses cases, a thick sheet of papers bearing his speech, and into his chest. 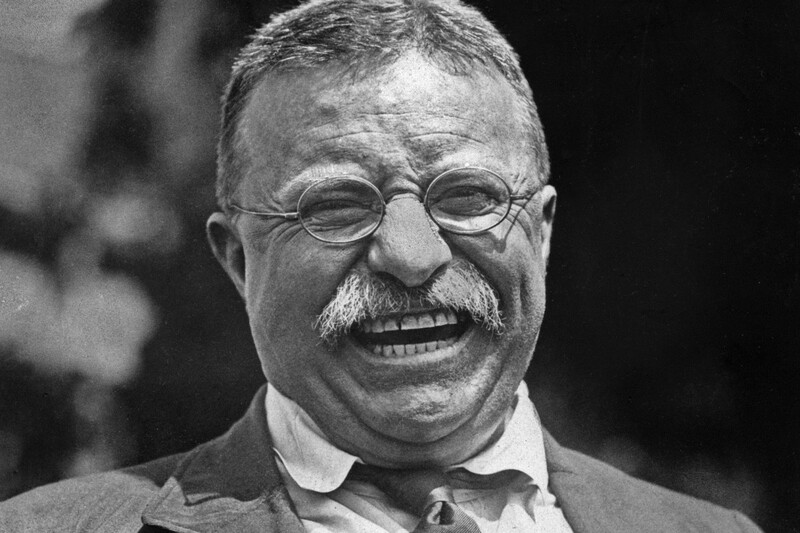 Undeterred, the badass ex-president climbed to the podium and started a 90-minute speech with “Ladies and gentlemen, I don’t know whether you fully understand that I have just been shot; but it takes more than that to kill a Bull Moose.” In 1919, a blood clot killed the Bull Moose.